A project idea that appeared on Pinterest caught the attention of BDN Outdoors Editor John Holyoke, who turned an old file cabinet into a bin that he's using to store garden tools ... and fly rods. Springtime is here and gardening season is almost upon us. But as you are waiting for the weather to warm up enough to plant the first peas and other early crops, it’s a good opportunity to prepare by taking an inventory of all your gardening tools and evaluating their condition, according to a horticulture expert from the University of Maine Cooperative Extension. He and Dr. Shawn Ehlers of the National AgrAbility Project recently collaborated on an article about readying garden tools for the season in the April issue of the Maine Home Garden News, a free online monthly newsletter published by the cooperative extension. Brzozowski and Ehlers said that having the right tools can allow gardens more success with less physical strain. Gardeners often use tools for soil preparation, hand cultivation or weed control and prevention, including long-handled tools such as a shovel, a spade, a garden fork, hoe and rake. They also use hand tools such as shears and pruners, loppers and gardening knives, and planting tools, including the dibble, a pointed wooden stick that lets gardeners make holes in the ground. They suggest that after taking inventory and getting organized, gardeners clean their tools by removing any collected dirt or rust (if they haven’t already done so before putting them away in the fall). Then, inspect the entire tool, looking for cracks, splintering, loose connections and broken welds. Inspect the working edge with eyes, thumbs and fingers, being careful not to cut yourself on a ragged edge, Brzozowski and Ehlers warn. Then sharpen, repair and replace tools that cannot be fixed. Gardeners looking for ways to keep tools clean and rust free can rinse them and apply a light oil before storing (linseed oil is recommended). One tip is to keep a bucket of oiled sand in your tool storage area and plunge the tool into the sand before storing. This cleans the tool and also prevents corrosion. A good rule is to use about 3/4 quart of linseed oil in a 5-gallon bucket of sand. Brzozowski also said that while gardeners are waiting to get going with the planting season, they might take the opportunity to get their soil tested. Some Maine gardeners might need to add limestone to their garden to raise the pH of the soil, or add nutrients such as nitrogen, phosphorus or potassium. This can be done by visiting local garden centers, which often have soil test boxes and forms, he said, or by utilizing the University of Maine soil testing laboratory. 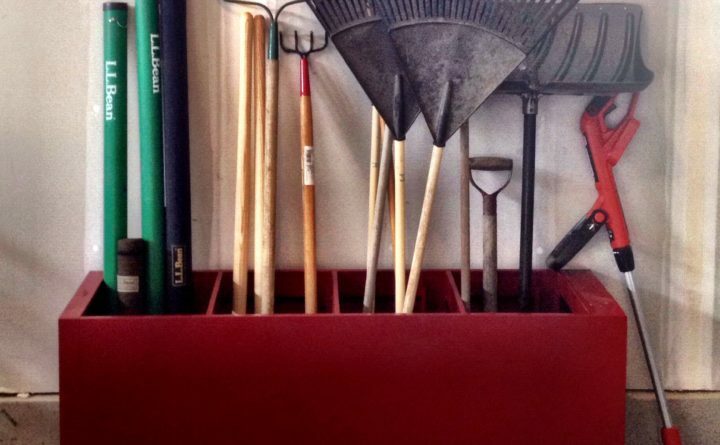 Getting organized, maintaining tools and figuring out what your soil needs all can make gardening easier. “And if it makes your work easier, it’ll make gardening more enjoyable,” Brzozowski said.